Students who take foreign language classes have the opportunity to receive academic credit for study in a foreign country for a summer, a semester, or two semesters. Through Central College in Pella, Iowa, Newberry College is a member of a consortium offering a variety of foreign study programs. Many other study-abroad programs are available through different universities. Faculty can advise and assist students in enrolling directly in a study-abroad program of their choice.  Normally, the cost of tuition, room, and partial board will not exceed expenses for the same period of time on the Newberry campus. Courses offered abroad are taught in the native language. Qualified students may enroll in these and other accredited programs. Students interested in making the study-abroad program a part of their Newberry College experience should contact Dr. Gregory Cole.